The date of July 18 was chosen to commemorate the birthday of Raymond Murray Schafer. Schafer is a Canadian composer, music educator, writer, visual artist, philosopher and environmentalist. He is known for his book The Tuning of the World and his World Soundscape Project. Schafer is considered the founder of the modern study of acoustic ecology. Acoustic ecology, also known as soundscape studies or ecoacoustics, is a discipline that studies the relationship between living beings and their environment, mediated through sound. Schafer started acoustic ecology studies in the late 1960s in at Simon Fraser University in Vancouver, Canada. World Listening Day is aimed at raising awareness about the acoustic ecology and celebrating the ecology of the world's acoustic environments and the listening practices of the world. The first celebration was held in 2010. 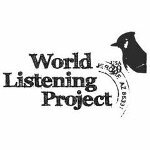 Each year, the WLP chooses a new theme for World Listening Day. Events organized on the occasion should reflect the theme. They include (but are not limited to) educational events, listening parties, soundwalks, performances etc.